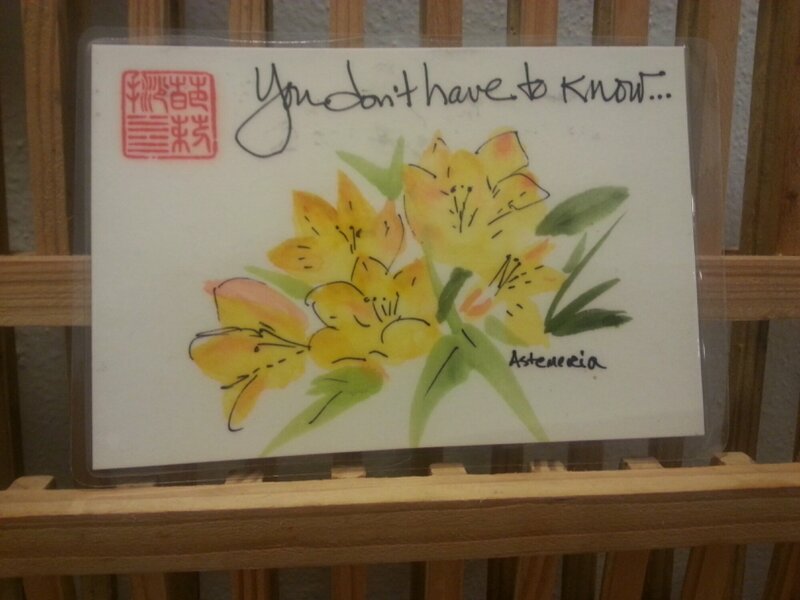 Last week, on my birthday no less, I found this elegant little etegami in my mailbox from Patricia in California, with the words “You don’t have to know…” and bright yellow astemeria flowers on it. The card really made my day, and now it is serving as a bookmark. Thank you Patricia! You don’t have to know what the future will bring, just enjoy yourself. You don’t have to know what you don’t know. You don’t have to know everything — you just have to know where to find it (something librarians take to heart!). Or just plain… You don’t have to know everything.